What type of display do we need? What content should we display and how will we manage it? Is our investment at risk of quickly becoming obsolete? What type of display should I choose? 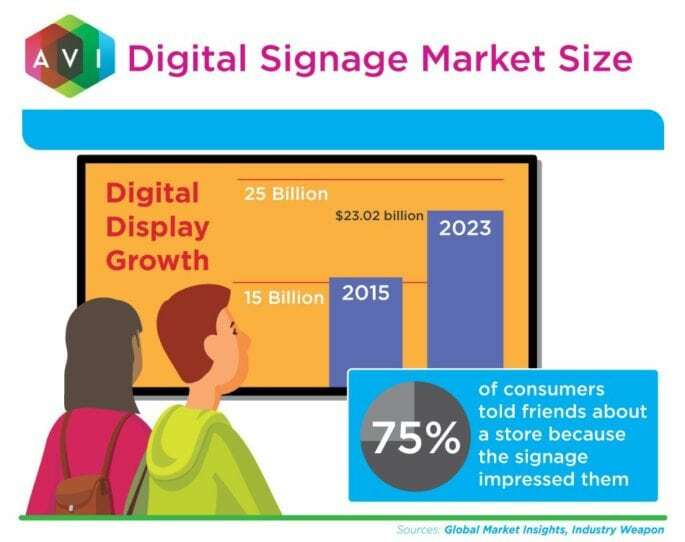 When it comes to digital signage, LCD and LED are the big players. LCD, which stands for Liquid Crystal Display, is the technology used in your TV set and computer monitor. The picture on LCD screens is made using liquid crystal, giving them higher resolution and making them easier to see close up. One major downside is, the bigger the display, the heavier and more fragile it gets. LED stands for light-emitting diode. An LED display is made up of columns and rows of individual LED packages. LEDs are significantly brighter and therefore less affected by ambient light conditions, both indoor and outdoor. They have brighter colors and richer contrast than LCD displays, and draw far less power. However, they are best viewed at a distance of a few feet, while LCD displays can be viewed in closer range. As you can see, the size and location of your display are major contributing factors to the type of display you should choose. For a small, indoor display, LCD is probably best. For a larger, outdoor presentation—like an interactive map of your corporate conference—LED is most likely the way to go. Where should I install my display? As digital signage technology evolves, the possibilities for where you can install digital signage continue to grow. Digital signage has been commonly been used for wayfinding and can often be found in training rooms, lobbies, and other common areas. But, don’t limit your plans for digital signage based on your space. Curvable technology like that of NanoLumens enables digital signage to cover arches and wrap around columns. Your displays can also hang from the ceiling in spaces like an open floor concept break room. New lightweight technology can make that happen safely and affordably. What should I put on my display and how can I manage it? You can use digital signage to display customized personal content, such as employee reminders or conference room schedules. If you don’t have the resources to create content, you can use a service that will create or customize material for your signs. There are also services you can subscribe to for content. You can designate a content manager from your organization or your integrator can point you to a subscription service as well as solutions like players and content management systems. With the right tools, it’s easy to personalize content based on location, as well as update it in real time. What if the signage I choose becomes obsolete? There is no question that digital signage technologies are evolving rapidly. There are no guarantees that the solution you choose this year won’t be outdated by next year. Working with a professional integrator that is knowledgeable about the latest technologies and can forecast coming trends is one way to ensure you’re making a sound investment. Another option is choosing an “as-a-service” program to future-proof your investment. 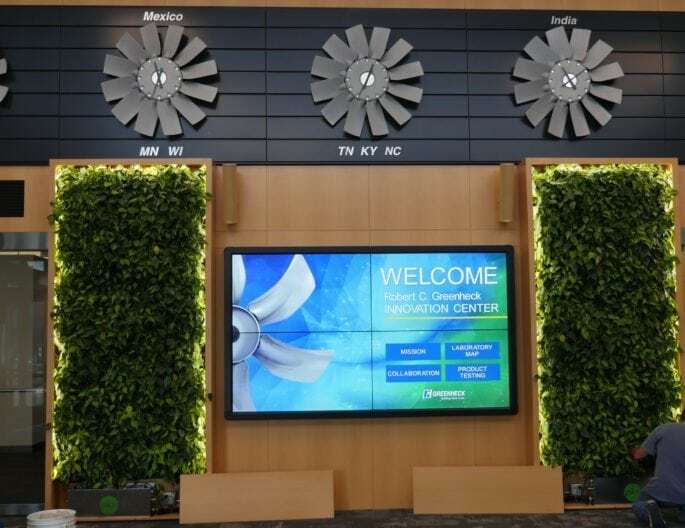 NanoLumens offers an ADVANTAGE technology renewal program that gives companies access to state-of-the-art digital display technology while ensuring access to upgrades. The program protects your investment because your solutions will always be up to date.